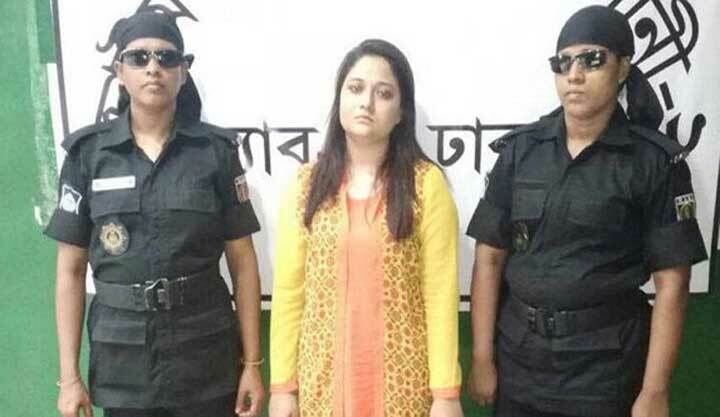 Dhaka, 17 August, Abnews: Members of Rapid Action Battalion (RAB) on Thursday night arrested a woman from Dhanmondi area of the capital, for spreading rumour on social networking site Facebook to instigate the recent student movement for road safety. The arrestee was identified as Mahzabin, 28, wife of Mohammad Riasat and a resident of Hazi Afsar Uddin at west Dhanmondi. Acting on a tip off, a team of RAB-2 raided a flat and arrested her for instigating people during the students movement, said Senior ASP (Media) MdRobiul Islamof the RAB-2 Battalion headquarters. During preliminary interrogation, Mahzabin confessed that she had shared some provocative audio clips through internet of her mobile phone to divert the student movement to a new direction and deteriorate the law and order situation, Senior ASP Robiul said.